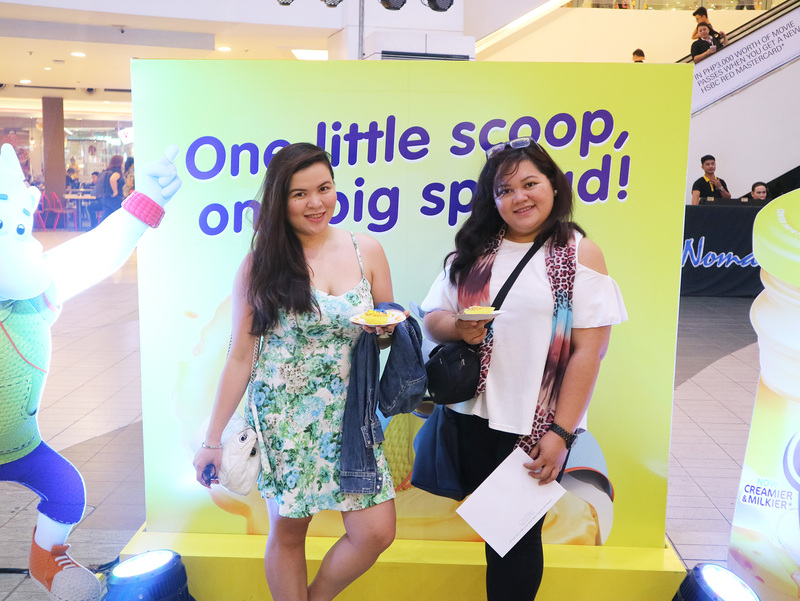 Home What's NewFood Events	Want to Win Php 10,000? 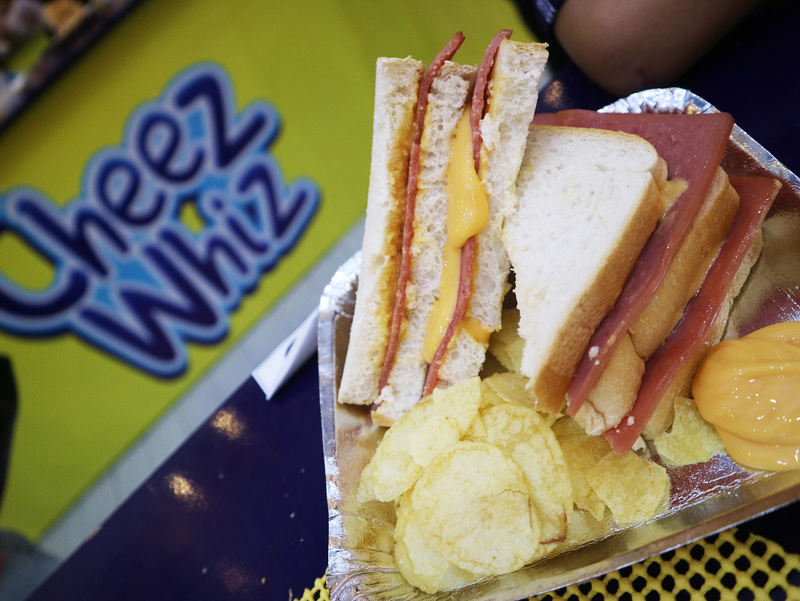 Create Your Cheeseventions with Cheez Whiz today! Want to Win Php 10,000? Create Your Cheeseventions with Cheez Whiz today! Moms, did you know that it’s important to help developer your kids’ creativity? Being creative does not only mean they will be good in doing art, it also helps develop them mentally, socially, and emotionally. It is every mom’s important role to foster creativity in their child in every way they can. So what’s a better idea to do this than to let them create their everyday snacks, right? Cheez Whiz, the number one cheese spread in the country, has been spreading goodness during snack time for over 50 years. What makes it the leading cheese spread in the country is its thickness and amazing cheesy flavor. It’s just an explosion of flavor that goes well with everything. And personally, because I love the creamy taste of Cheez Whiz, I even use it for some of my favorite dishes like no-frills mac-n-cheese or even tasty cheesy nachos. 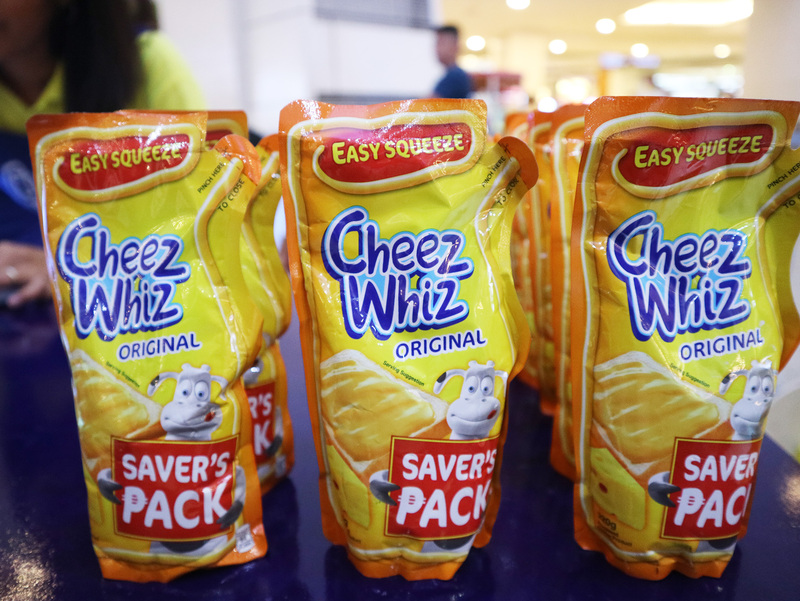 Cheez Whiz is not only for making Creamy Cheesy Sandwiches but for creating different “Cheeseventions” snacks as well. Kids of all ages can enjoy creating and mixing Cheez Whiz with other ingredients. Its two amazing flavors Original and Pimiento can drive kid’s imagination to create snacks! Make a sandwich tower! Cheez Whiz Mac and Cheese! 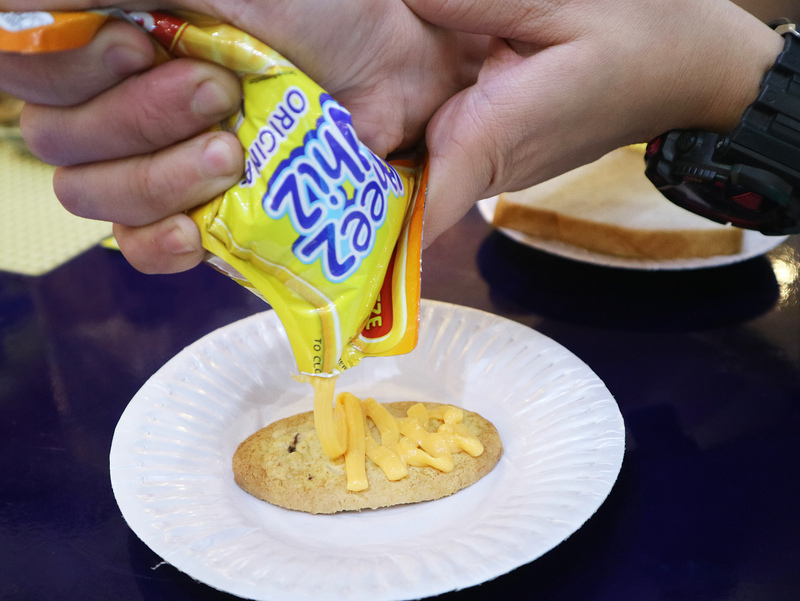 Use Cheez Whiz as a dip! The possibilities are endless! Solar Cheestem: A delicious snack that’s out of this world! Lay out the Solar System placemat on the table. 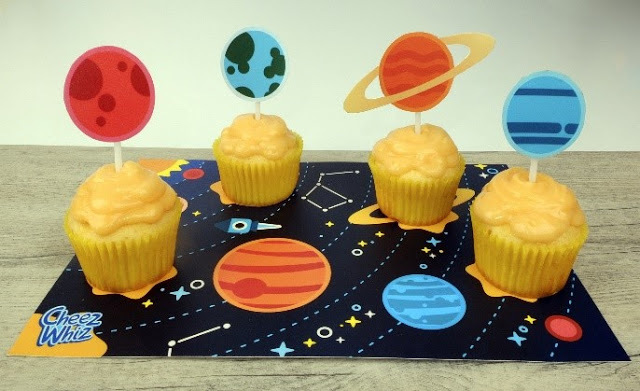 Place a cupcake on each planet outline. Stick the toppers into the cupcakes. And voila! You have your own wicked out-of-this-world (literally) Solar Cheestem! And do last May 28, my sister and I attended the last leg of the Cheeseventions workshop series. 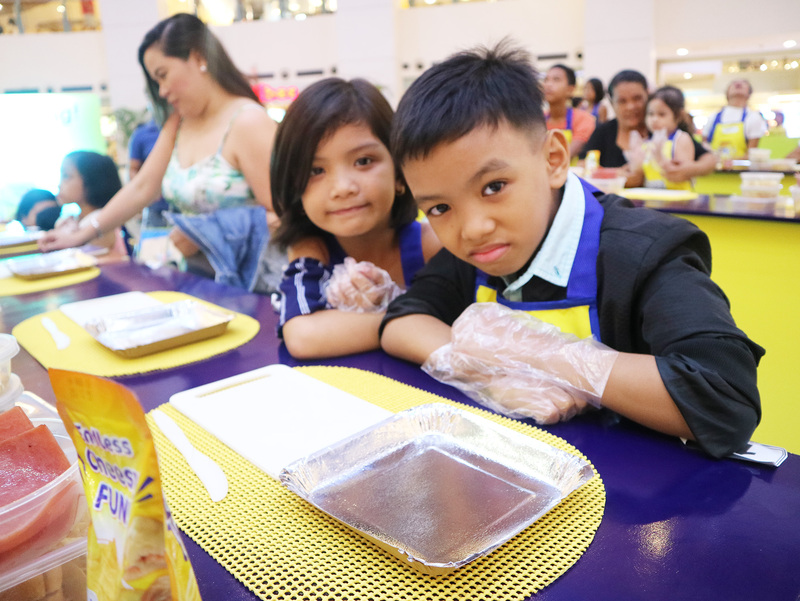 It was a cheesy afternoon of teaching moms and kids to create their #CheezWhizCheeseventions. Even before the workshop itself, attendees were already treated to a preview of the fun we’re about to have. 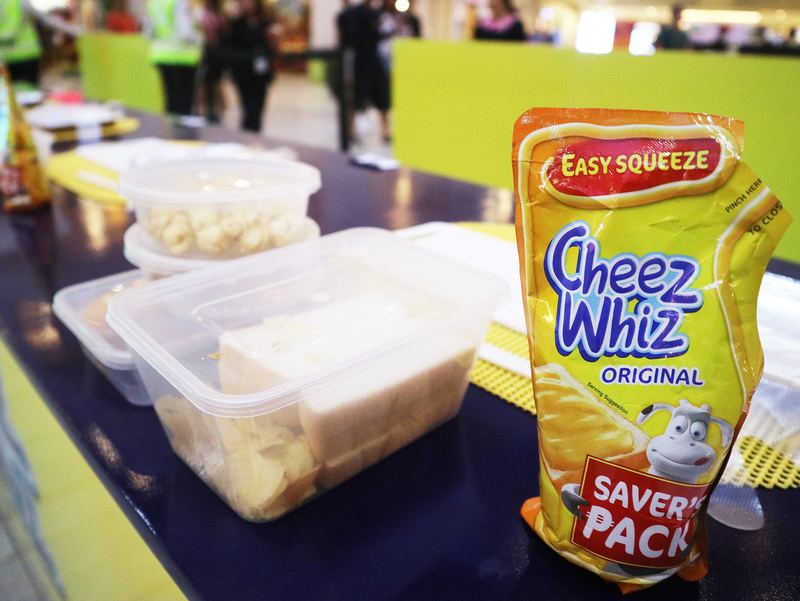 Basically there were 4 cheese-filled stations to test your creativity and express our love for Cheez Whiz. 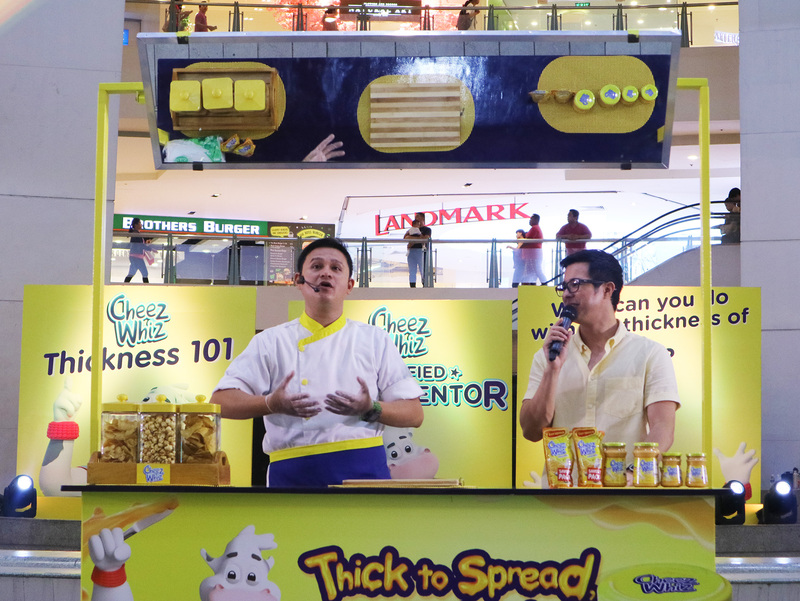 And then the moment of truth: #CheezWhizCheeseventions workshop 101 with celebrity Chef DJ Santos. 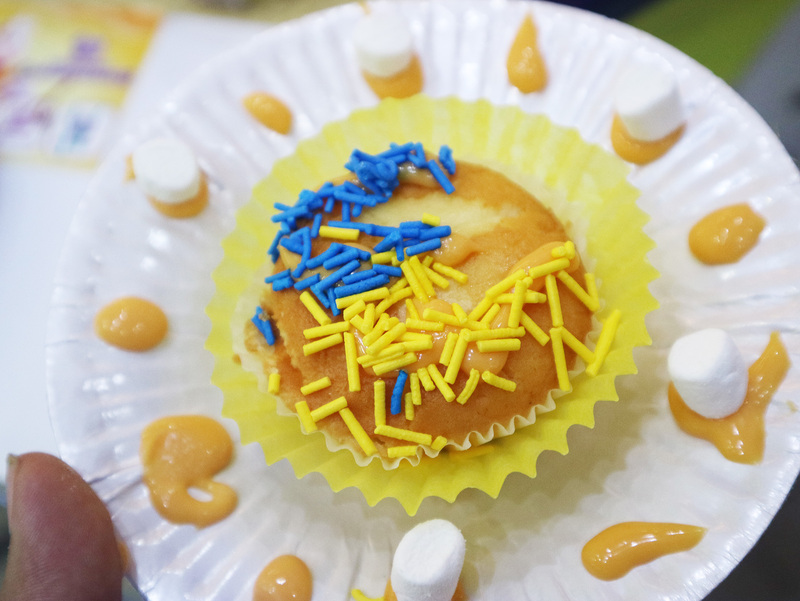 There were about 40 participants and Chef DJ demonstrated two easy recipes to make afternoon snacks a lot more exciting (and yummy) – Cheez Whiz Ham and Cheese Tower and Cupcake Delights. Do you want to be a Cheeseventor and create your own Cheeseventions at home? Go for it and submit at www.cheeseventions.com for a chance to win 10,000 pesos and be featured in the Cheez Whiz (@CheezWhizPH) Facebook page. Promo runs from April 15 to October 15, 2018. Thanks for having us, Cheez Whiz! See you next year! 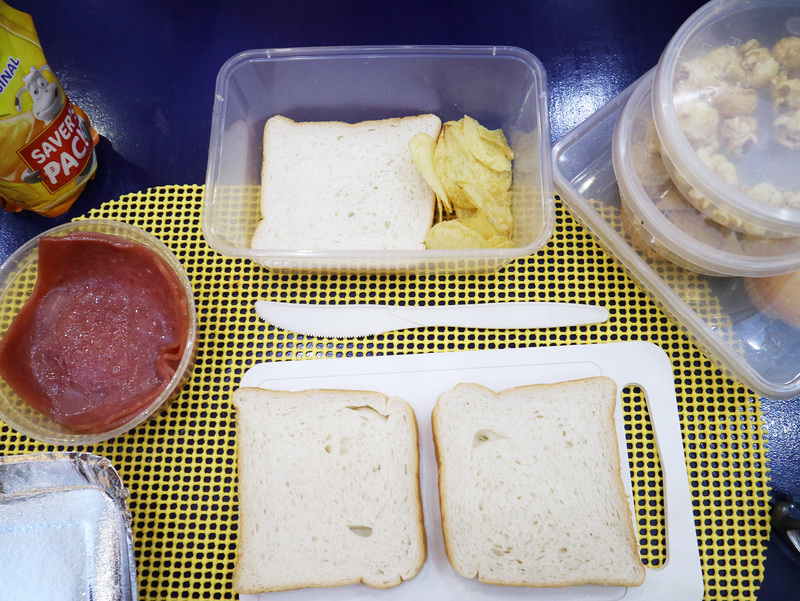 For now, excited to spread the love and whip up our own Cheeseventions at home! Shopee PH 9.9 Super Shopping Day is Back!